Figs are one of those fruits I don't buy very often; mainly because I just don't see them at my local grocer's. When they are in stock, I snap them up like crazy. 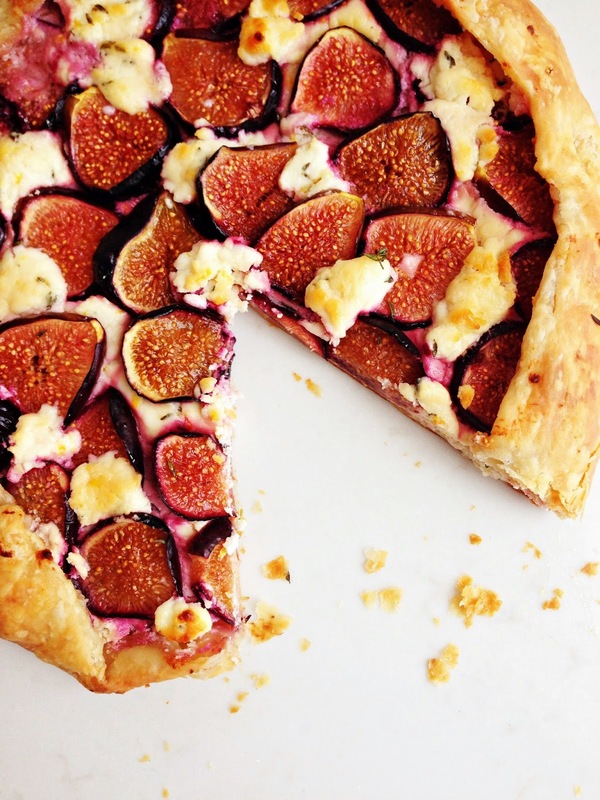 This past Saturday afternoon I wandered around my giant supermarket, squealed a little (and got some funny looks) when I saw the figs, and immediately a tart came to mind. 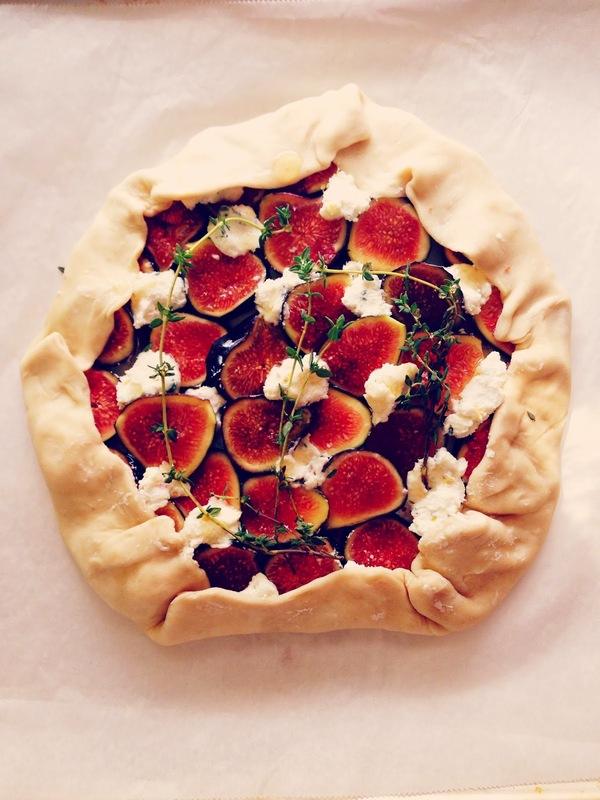 I know that figs and goat cheese love each other, as do honey and thyme. I made the rounds, got the rest of my ingredients and I knew I had a disc of pastry in the freezer at home that needed to be used up. I love it when a plan comes together! Especially when that plan is a tart. Cutting into a fresh fig is a thing of beauty. The outside is fairly unimpressive, but the inside is something else entirely. Mother nature gets a high five for that one. Assembly is fairly straight forward. 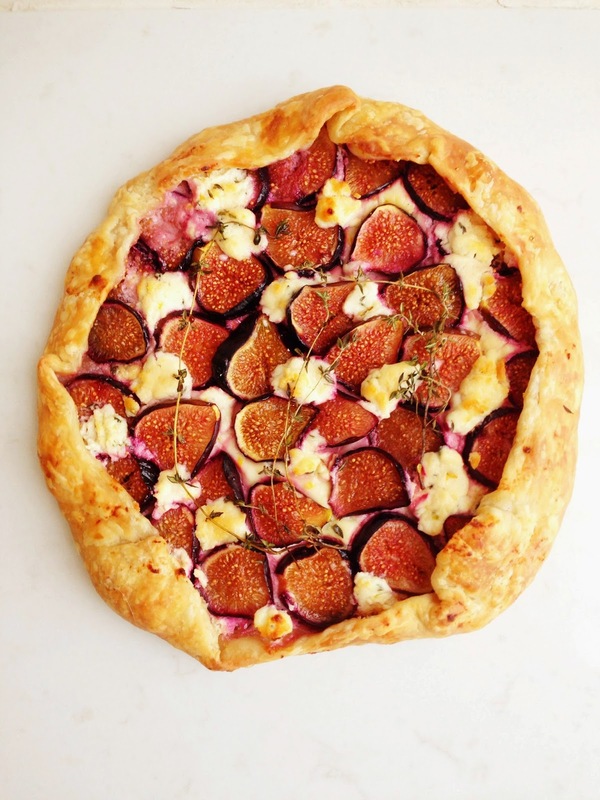 Roll pastry roughly into a circle - remember it's rustic so don't stress - spread goat cheese, top with sliced figs, fold in edges, tuck in a few thyme sprigs, drizzle with honey and bake until it's golden. The result is a jammy, cheesy, beautiful arrangement inside flaky pastry with herbaceous notes thanks to the thyme. 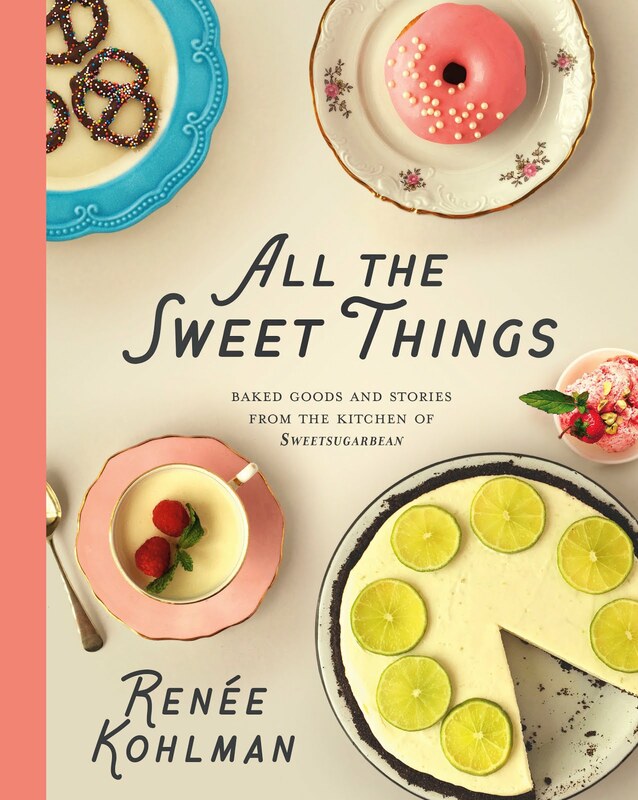 Not terribly sweet, it goes quite lovely with a mug of something steamy and gripped in the hand. I savoured the first slice sitting on my dusty old patio chair, with the warm air kissing my cheeks as spring said hello. Roll out pastry on a lightly floured work surface into an 8 inch circle. Place on a parchment lined baking sheet. 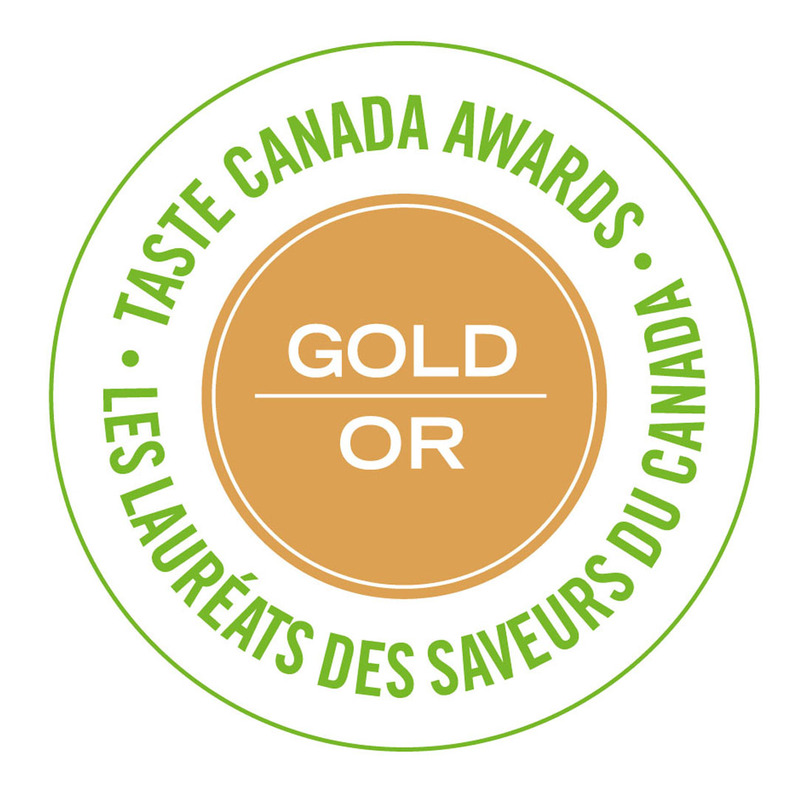 In a small bowl, mix together the softened goat cheese, honey, thyme leaves and salt. Gently spread about half of this onto the pastry, leaving about a 2 inch border. 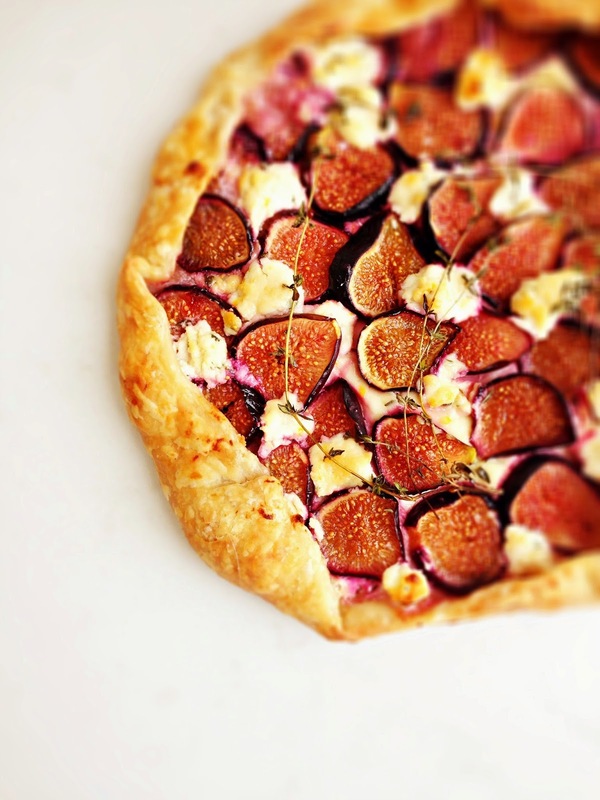 Arrange fig slices on top of goat cheese and dollop remaining goat cheese mixture on top of figs. 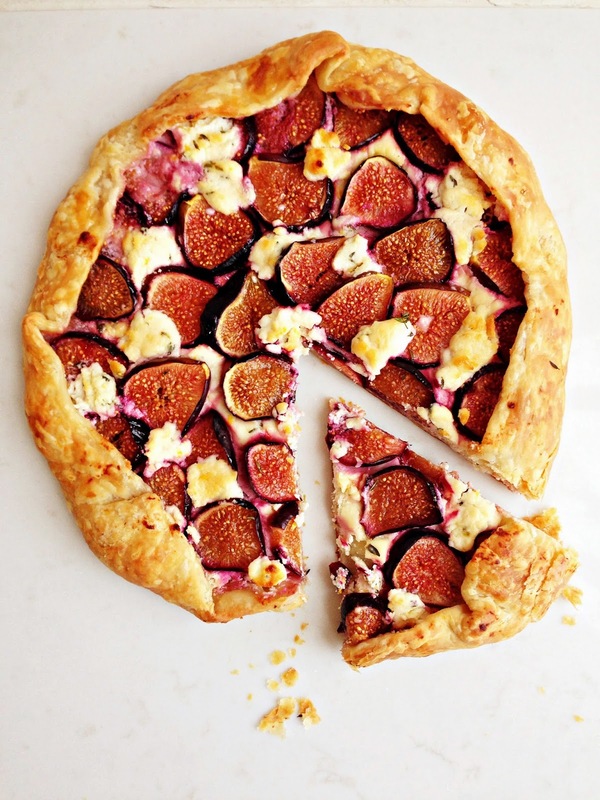 Fold the pastry over the edge of figs. Tuck in a few thyme sprigs, drizzle with honey. Place in oven on lowest rack and bake for 15 minutes. Rotate pan and bake for another 12 minutes. Let cool for about 20 minutes before serving. Makes 4-6 servings. Such a creative idea! I love honey on pizza (well everything) but especially pizza. My current favourite honey trick is putting chilli flakes or oil on sandwiches with honey. It's the perfect spicy/sweet combo. Could you, please, tell me where you found fresh figs? Thank you. Hi Monika, I found fresh figs at Superstore, here in Saskatoon.